Comprehensive clinical case management software for Family Support and mental health providers to manage client referral and clinical data through multiple programs in a non-profit setting. Designed and built over seven years of real world use - modelling the workflow and intricacies of Family Paths in Oakland, California. * We monitor all FaCTS reviews to prevent fraudulent reviews and keep review quality high. We do not post reviews by company employees or direct competitors. Validated reviews require the user to submit a screenshot of the product containing their user ID, in order to verify a user is an actual user of the product. Hi there! 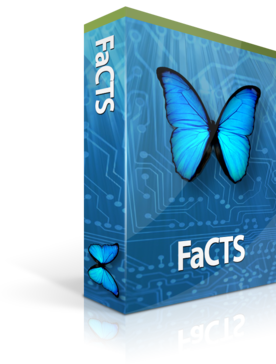 Are you looking to implement a solution like FaCTS?